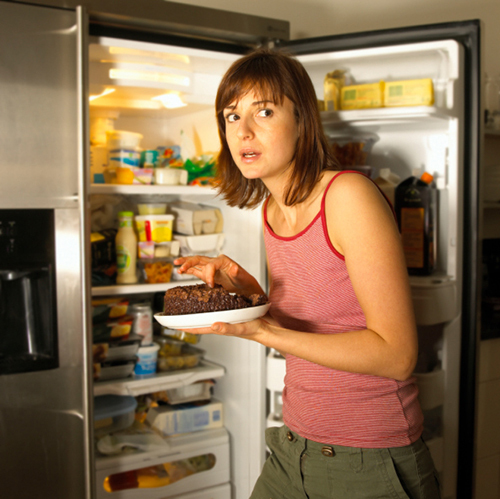 Many of us are unfortunately too familiar with the dangerous habit of stress eating. Whether you are a parent coming home from a long day at the office and having to now tackle household management or a student who is working part-time while balancing studying and completing assignments, these daunting situations often lead to poor food choices. Stress eating usually involves exercising poor self-control and indulging in snacks that are high in sugar and fat while resisting healthier foods, especially among women. A recently published study in the Environment and Behavior journal examined the potential moderating effects that an “in-control environmental” mindset versus a “chaotic environmental” mindset have on food choices and intake. As you’ve likely learned, the environment you are exposed to can influence your ability to engage in self-control or make poor decisions. However, researcher Brian Wansink and his colleagues have demonstrated that changing your mindset may strongly impact how you choose to behave and manage stressful situations. The study included 101 female university students with an average normal weight status. Participants were led to believe they were participating in a completely different study and were asked to complete arbitrary questionnaires. Individuals in groups of one to three were randomly assigned to complete these questionnaires in either a standard, organized, and quiet kitchen with no disruptions or a chaotic kitchen environment, which was disorganized with tables out of place, papers piled on tables, and pots and dishes scattered around. The chaotic kitchen also involved one female experimenter barging in after commencement of the experiment and loudly tidying up the environment, with yet another experimenter intruding and further distracting the participants. For each environment, participants were requested to complete a writing task over a five-minute period. They were randomly assigned to recall one of the following: a time in their lives where they felt chaotic and out-of-control; a time where they felt organized and in-control; or the last lecture they attended (a neutral situation). All participants were also asked to taste and rate cookies, crackers, and carrots. Findings revealed that all participants indulged in more cookies compared to crackers or carrots, regardless of their environments. Results only differed while evaluating the findings from the writing task. While being exposed to the chaotic environment, participants writing about being out-of-control consumed more cookies, whereas when writing about being in-control, they consumed the least amount of cookies. Participants consumed moderate amounts of cookies when writing about a neutral situation (their last lecture). No significant findings of the writing tasks were found for participants exposed to the standard, in-control environment. Furthermore, the environment alone or the writing tasks alone had no significant impact on cookie consumption. Researchers also found no significant results among cracker or carrot consumption in either environment or for any of the writing tasks. Based on this study, if you keep a more organized and less cluttered and distracting environment, you’ll probably snack less. However, if you do find yourself in such an environment, take a moment, breathe, and recall a more controlled time in your life. This will help you get in the right mindset, maintain control and resist from overindulging in unhealthy snacks. Vartanian, L.R., et al., “Clutter, chaos, and overconsumption: The role of mind-set in stressful and chaotic food environments,” Environment and Behavior 2016; DOI: 10.1177/0013916516628178.